You can unlock the outfit in-game, or with the new Wedding Peach Amiibo. One aspect of Super Mario Odyssey that players can’t wait to explore are Mario’s customizable outfits. In the game, you can unlock a wide variety of different outfits for Mario including a swimsuit and a chef outfit. However, players who recently got their hands on the new Wedding Peach Amiibo noticed there’s an altogether different outfit you can unlock for Mario. On the back of the Wedding Peach Amiibo box is a small photograph that showcases Mario in Peach’s wedding attire. Using the Amiibo, it appears you can unlock the dress for Mario to wear. Note that you don’t need to own the Amiibo to unlock this outfit for Mario, as everything is unlockable in-game. Nevertheless, if you happen to have the Amiibo and want to instantly unlock a gorgeous new outfit for Mario, you can certainly do so. 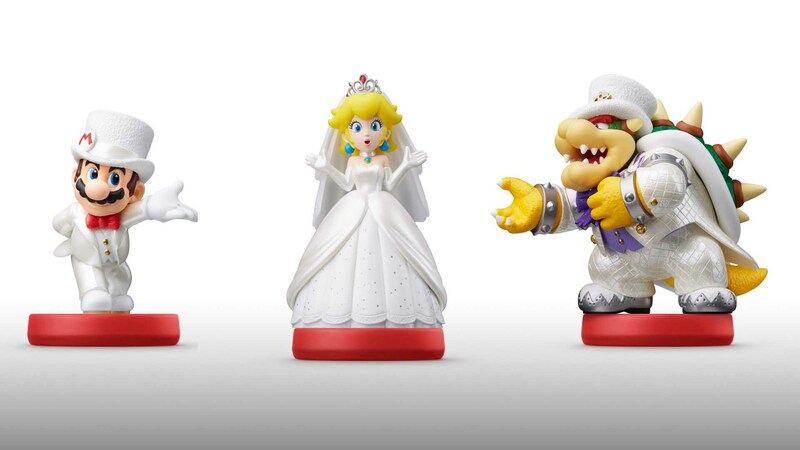 Aside from Peach, the wedding set of Amiibo for Mario Odyssey includes Mario in a sleek white suit, and Bowser with a spiffy hat and purple bow tie. 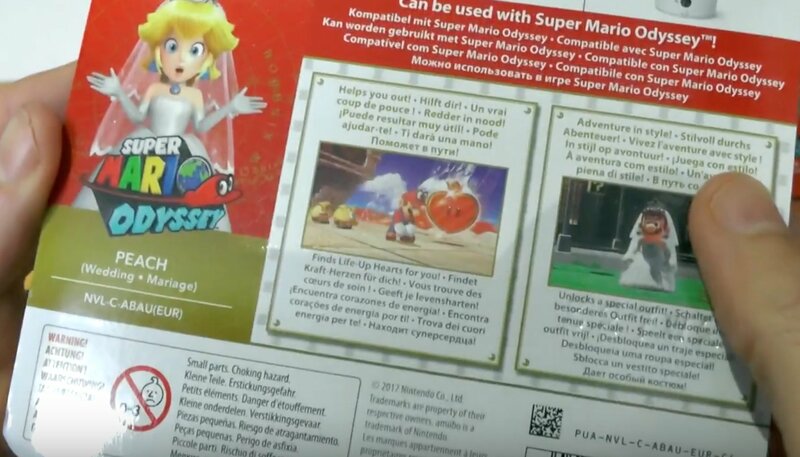 To get a preview of Mario rocking Peach’s Wedding Dress, be sure to check out the image below that reveals a quick glimpse at the back of the Amiibo box. What do you think of this one-of-a-kind Mario outfit? Will you be unlocking it in-game, or do you plan to buy the Amiibo? Let us know your thoughts in the comments below!